Our Professional Nano Skin Surface Prep Kit comes with a 16oz Detailer’s Size Bottle of our innovative Lube Job Clay Bar & Nano Skin Prep Towel Lubricant & Conditioner, as well as a Large 12×12 Nano-Skin Surface Prep Claying Towel. The Nano-Skin Surface Prep Towel can be used to remove industrial pollutants, bonded contaminants, paint overspray and brake dust from the surface of automotive paint, glass, moldings, fiberglass and plastic. The Nano-Skin Surface Prep Towel has a unique abrasive which is infused into the towel’s polymer coating, enabling it to abrade the contaminates on top of the clear coat such as iron particles or over spray, without cutting, removing, or damaging the underlying clear coat. TIME IS MONEY – The Nano Skin Surface Prep Claying Towel quickly removes contaminants from the surface. Just spray LUBE JOB on to the Nano Skin Surface Prep Claying Towel and then saturate the surface being prepped with LUBE JOB. Glide the Nano Skin Surface Prep Claying Towel back and forth on the surface a few times then stop. 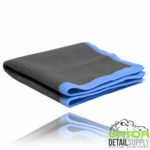 Take a separate microfiber towel to wipe the residue from the surface – you are done. LENGTH OF USE – You can a single Nano Skin Surface Prep Claying Towel on 100 or more vehicles. 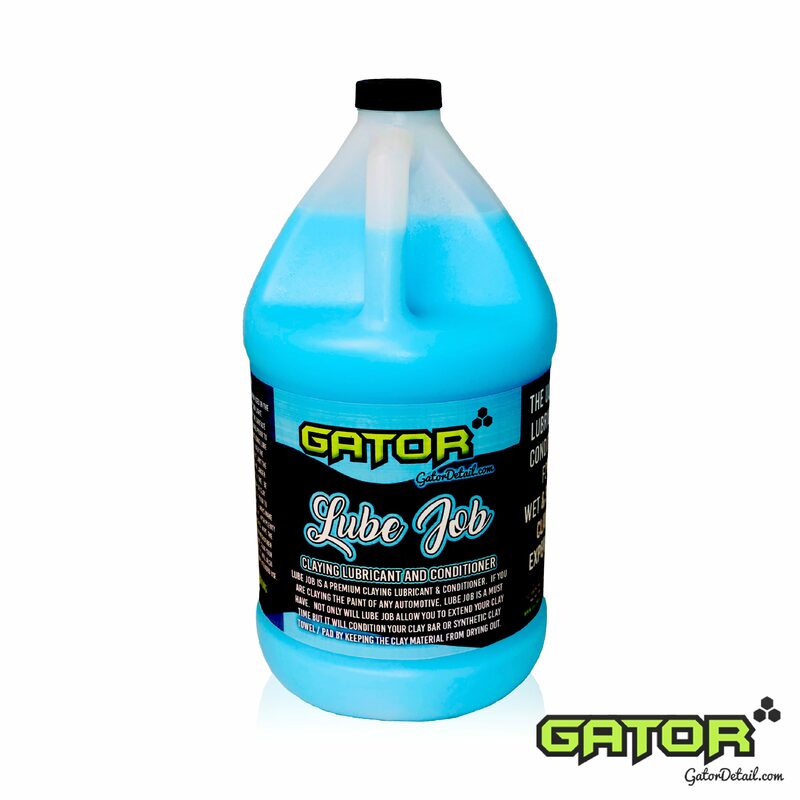 EASY TO MAINTAIN – If dropped on the ground, simply rinse clean and continue using. Always rinse Nano Skin Surface Prep Claying Towel between uses, then store in a protective container out of direct sunlight once dried. NO MORE SHAPING AND RE-SHAPING – Just fold and go. The Large Nano Skin Surface Prep Claying Towel is 12 x 12″ and will treat approximately 100 vehicles versus a Clay Bar which will only treat 10-20 vehicles. The Nano-Skin Surface Prep Towel is made from a 12″x12″ microfiber towel with a one-sided high-tech polymerized rubbing coating. It’s polymerized rubber coating grabs above surface contaminants and pulls them away from the surface, leaving you with contaminant-free clear coated paint unlike anything that you can ever achieve when cleaning the surface with a brush or wash mitt. 1. 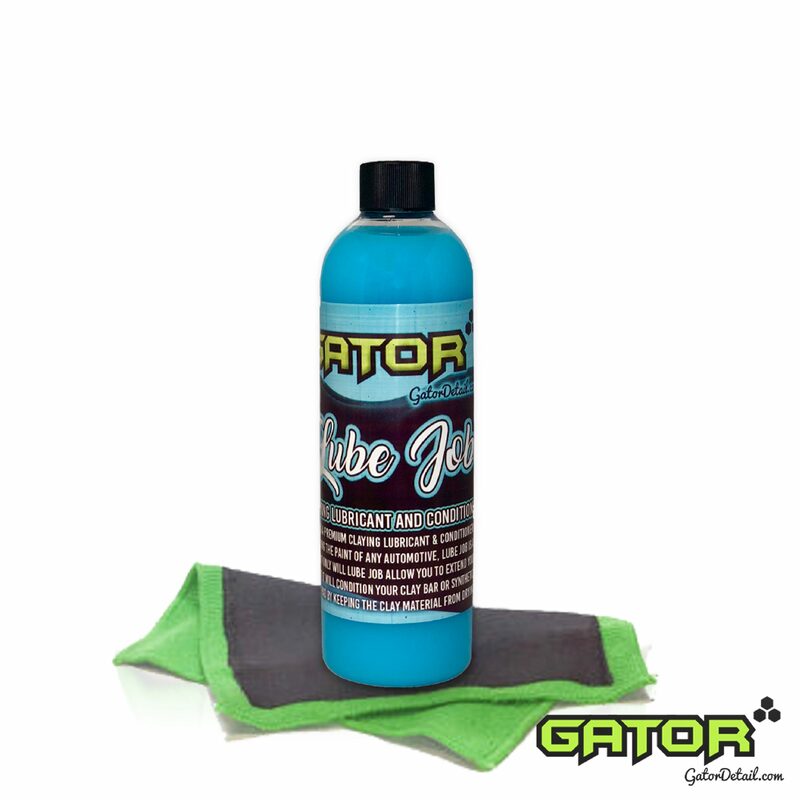 Saturate the surface being worked on and the Nano-Skin Surface Prep Claying Towel with a clay lubricant like Lube Job or Showroom Shine. 2. Next, fold the towel in four ways and work one panel at a time using Lube Job as your lubricant making sure to keep the surface of the towel and the panel being worked on liberally lubricated. Without applying any pressure, choose a small area about 1-2 square feet in size, and move the towel left to right, back and forth in one direction, and up and down. Make sure that you are using a fast hand motion. We recommend that you do not use a circular motion. ALWAYS make sure not to go beyond the lubricated area! 3. After the Speedy Surface Prep Towel glides smoothly across the surface, flip it to another side and lightly go over the area once more. 4. Wipe up an excess Lube Job Clay Lubricant and move on to the next section. 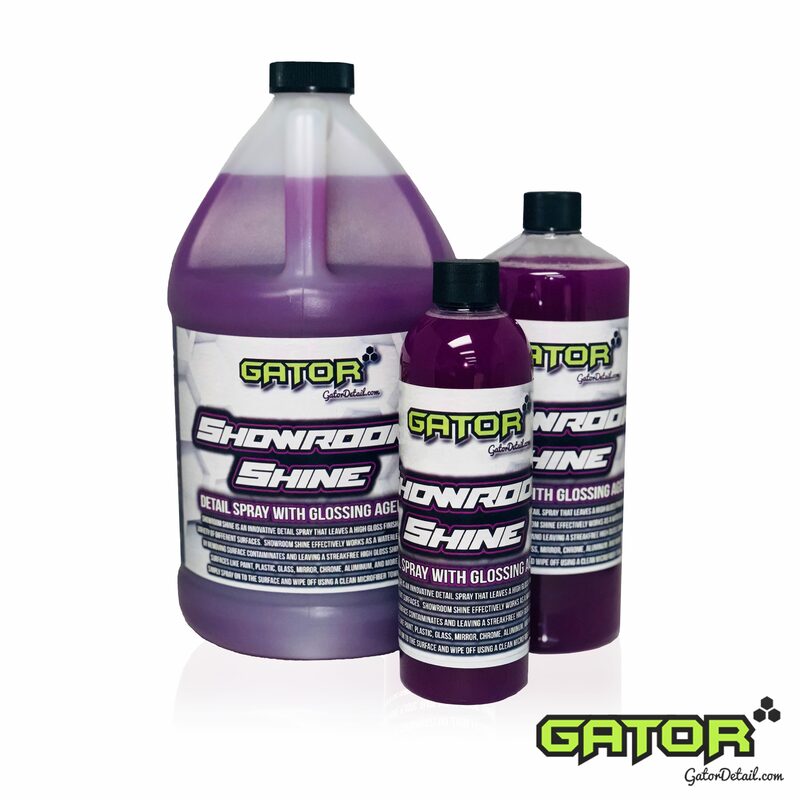 Note: Unlike a Clay Bar, if you drop the Gator Nano-Skin Clay Towel, you do not need to throw it away…..simply rinse it with water. 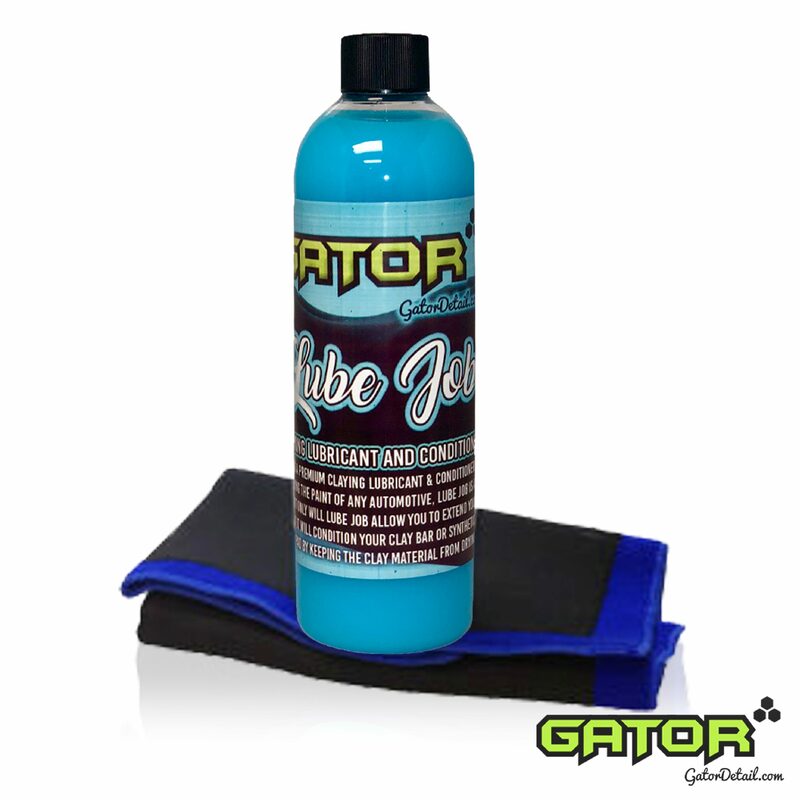 Do not use harsh cleaners to clean the Gator Nano-Skin Clay Towel. Once completing a vehicle, use a mild soap and lukewarm water to soak the towel and gently wring out before storing.